If you’re one of the lucky few who own a 1,500-horsepower, $3 million Bugatti Chiron supercar, you should expect periodic calls from the automaker about tire pressure. Bugatti remotely monitors all Chirons from its factory in Molsheim, France. The automaker claims this has allowed it to, among other things, detect an under-inflated tire in an owner’s car thousands of miles away. Nothing about the Chiron is normal, so it’s not really surprising that Bugatti doesn’t handle maintenance like other automakers either. Tire-pressure sleuthing is made possible by a built-in telemetry system. Similar to technology used in race cars, the system transmits all kinds of data between cars and the factory in real time. Bugatti is able to monitor a car 24 hours a day, seven days a week, as long as the car is in an area with cell coverage. The automaker used this data-monitoring tech in its last supercar, the Veyron, but claims the system used in the Chiron can track even more data. The system monitors 10,000 signals from different parts of the car, such as the engine, transmission, lights, climate control, and infotainment system. Bugatti even used telemetry to monitor prototype Chirons being tested on different continents during the car’s development process. If a problem is detected, Bugatti can dispatch one of its so-called “Flying Doctors” to wherever the car happens to be located. Unlike their medical counterparts, these doctors still make house calls. Bugatti only has three Flying Doctors, but they can have a car sent back to the factory or to one of 34 global Bugatti dealers if needed. 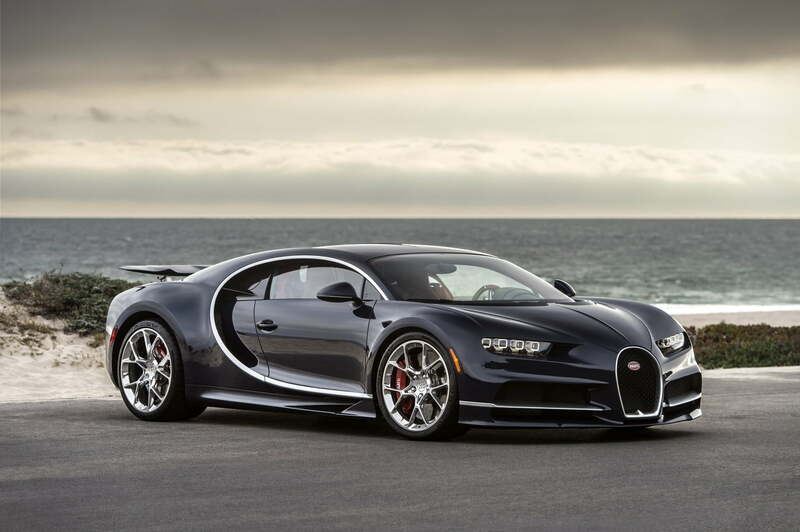 The telemetry system is a two-way connection, allowing Bugatti to change certain vehicle settings and push software updates remotely in some cases. The system also allows for real-time stolen vehicle tracking, according to Bugatti, which wasn’t available on the Veyron. Granted, that feature has been available on less-exotic cars for some time. Customers have to give their consent for the telemetry system to be activated when they purchase their cars, and Bugatti says that the majority of customers have agreed to allow data monitoring. The automaker claims to have strict security protocols, including allowing only a handful of employees to access the data. Other automakers will have to address issues of security and transparency as we approach the much-discussed future of connected cars, but Bugatti is already there.